The DevNet Zone at Cisco Live provides a hands-on opportunity for learning about development with Cisco technology and open source application program interfaces (APIs) and software development kits (SDKs). 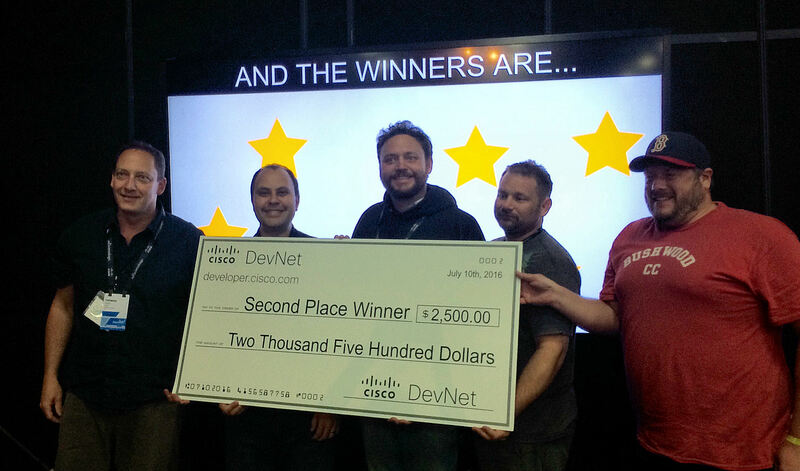 This year, DevNet 2016 also offered the chance to compete for prizes and glory in a Hackathon. On Sunday morning all teams demoed their solutions to the judges, and shortly after the winners were announced. We were super excited that our solution took second place! To produce BeeTRI, our team pooled their expertise in several Cisco technologies – Zeus to monitor and analyze virtual machine data, Tropo to trigger notifications, and Spark for group communication. But one of our favorite tools was Cisco Shipped, a DevOps platform that Cisco is building on top of their open source Mantl project. Shipped provides an easy to use front end for Mantl, making it simple to create applications, wire them together, and build a continuous delivery pipeline. Having those capabilities available allowed us to iterate on our ideas extremely quickly and concentrate on the code we were writing. We did not have to worry about how to deploy, scale, run and monitor all of our services because the Shipped and Mantl platforms handled most of that. Given that these are challenges every modern application development team faces, I’d like to show exactly how easy it is to create and deploy an application using Shipped. Go to https://ciscoshipped.io/ and sign in with your Github account. 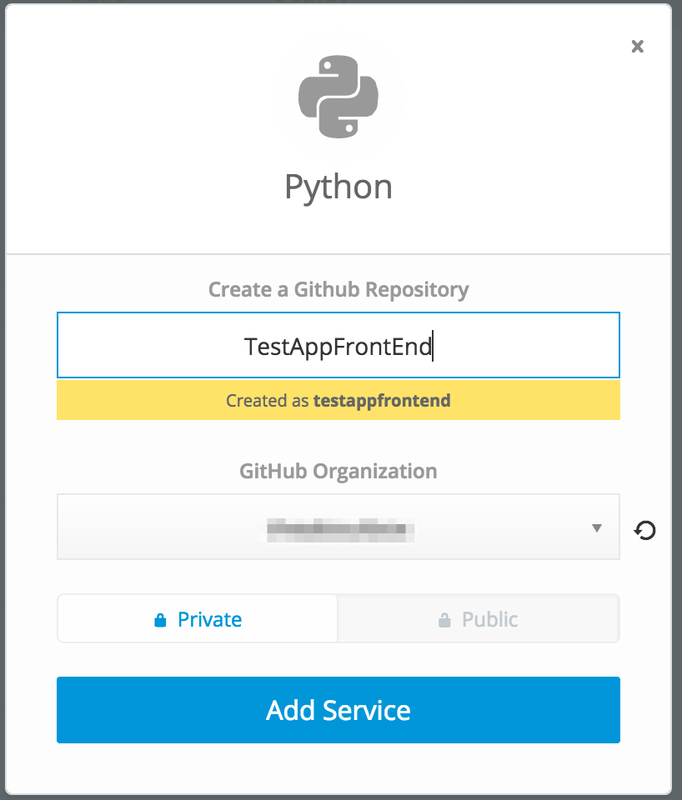 This will create a user account and it will allow Shipped to deploy your Github repositories. Click the green button to create an application. 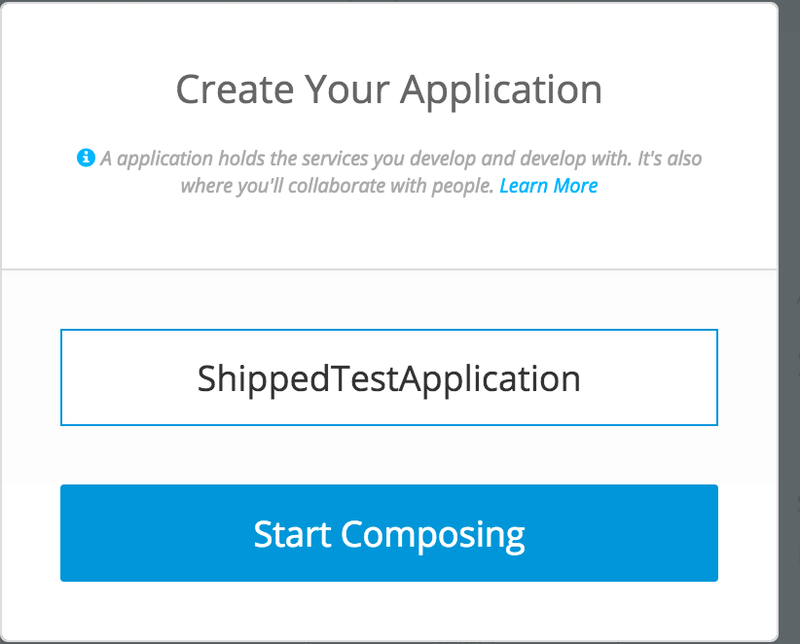 In Shipped, an application comprises any number of services that can be wired together. So, at this point you need to start defining the services that define your application. In this case, I am going to add a Python front-end service. This will create a Github repository, which can be made public or private. After saving settings for the application, Shipped will take you to the “Build” tab and will build your application automatically. 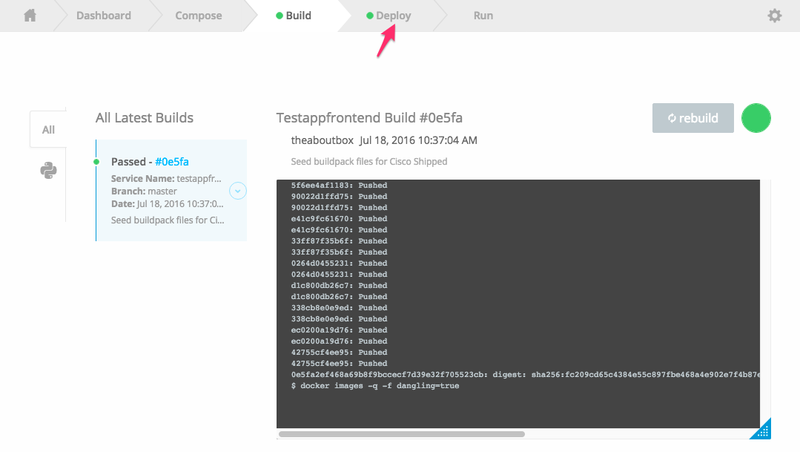 Once the build indicator turns green, go to the “Deploy” tab and create an environment. 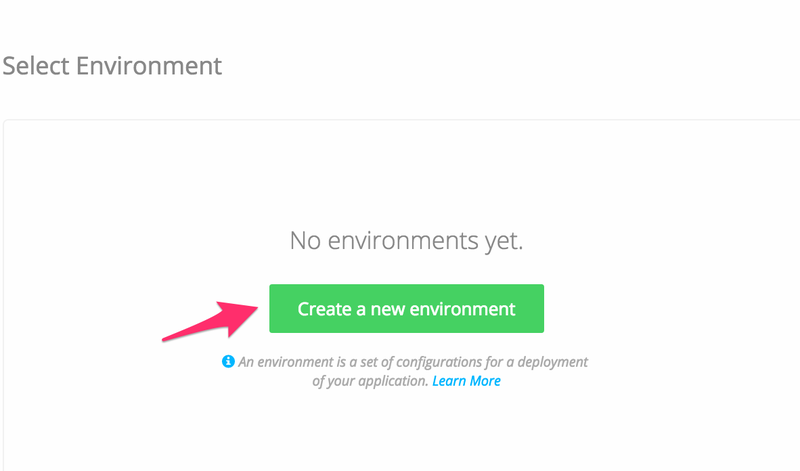 Click the green “Create a new environment” button. An application can have any number of environments, and each of them can run a different build. This allows you to always have the latest code in a development environment, and only well-tested builds in production. For this example, I’ll create a development environment. 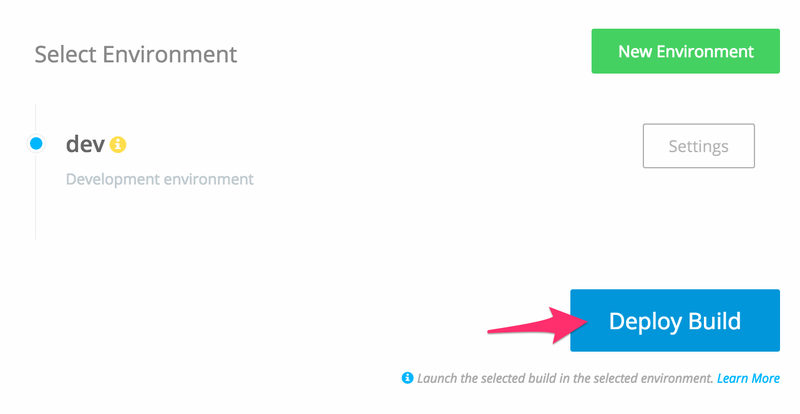 Finally, hit the blue deploy button. It’s that easy! To see the application running on the Web, click the Green badge under the environment name. And that’s it. To add functionality to this starter project, check out the project on Github and make changes. All changes pushed to Github are built automatically, and are available to deploy. Cisco’s developer site has a number of free learning labs if you are interested in learning more about Cisco Shipped. Shipped has many other features, such as configuring monitoring, application policies and customizing the build process. Have questions or want to know more about the solution we created at DevNet Hackathon? Leave a comment or find me on Twitter @theaboutbox. Cameron Pope is a principal Cloud Architect in Professional Services at GTRI.